← Are Oil Companies Really Villains’? As we move into the cooler weather it is time to think about staying warm without breaking the bank. Do you “rug up” in winter, rather than rely on artificial heating? Turn your heating thermostat down a couple of degrees (to 20°C/68°F) and wear a jumper or sweater in winter. Every degree over 22°C/72°F adds about 10% to your heating bill. 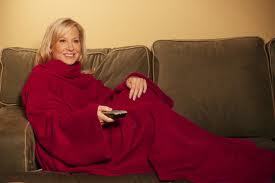 Use a hot water bottle and blanket while watching TV rather than a portable heater! Say NO to fan heaters ( they may be cheap to buy but are very costly to run. 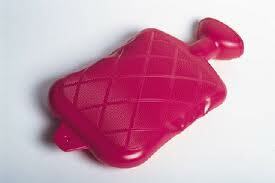 It costs about 2¢ to boil a quart of water (either on the stove or in a microwave), and a hot water bottle will stay warmer for longer without using any electricity. Replace conventional thermostats with programmable alternatives! 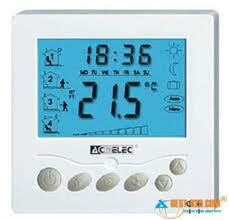 Most homes ten years old or less already come with programmable thermostats. If you have an older home with manual thermostats it is very easy to for even the novas fixer-upper to install a new programmable model. And some new programmable thermostats can now be controlled through your home computer or smart phone. Programmable thermostats will enable the temperature of the home to be changed, automatically, to different temperatures during times when the home is normally occupied or unoccupied. In addition, many have a re-circulate feature that can allow for temperature to be kept constant when significant differences in temperature exist on different levels of the house. This entry was posted in Environment, Green, Green Energy, Sustainability. Bookmark the permalink.